Upgrade your membership to Titanium level and enjoy full range of benefits. 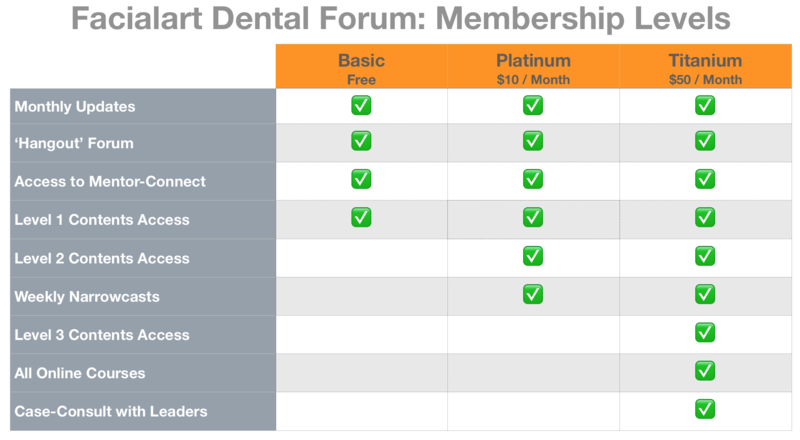 With titanium membership you’ll receive all the following benefits in addition to personal access to our forum leader through ‘Mentor Connect’ program. The hallmark benefit of membership is our ‘Mentor Connect’ program. You can access any of our forum leaders for personal interaction, conversation, case reviews, and questions. This is a unique opportunity to interact personally with top clinicians from around the world. The Mentor Connect program is $250 per hour.